Read Billy's review of Venom. One of Marvel’s most enigmatic, complex and badass characters comes to the big screen, starring Academy Award® nominated actor Tom Hardy as the lethal protector Venom. We are at a point in cinema history where critics are over thinking 'Superhero Movies.' It will be years before this changes, but because of how awesome Disney has set up Marvel films, all other films are compared to a high caliber film. Of course Sony is a major studio, so they have the resources and the know how on how to create an amazing movie. I just think today, critics hear 'Marvel' or Hero/Villain, that they then raise the stakes for the movie before even watching it. This would explain why there are some bad reviews out for Venom right now. I would have to agree, if I went in thinking this would be on the same level as 'Avengers: Infinity War' or even 'Guardians of the Galaxy' I would have been disappointed with Venom and it's outcome. We need to remember this is it's own movie, on the side of the 'Marvel' Universe. That being said, I am not saying that Venom is good in one way or another. If you watch Venom and think too hard about the plot or story line, you will quickly fine faults in the movie. So quick it will be in the first five or so minutes, and they have a time jump, and we are suppose to just move on. Ok yes, there's so bad plot ideas and the villain (bad guy) in this movie isn't that bad. I'm sure there are people out there thinking, No Spider-Man, how can they do this? Well they can, and why not. Maybe this movie takes place in the same Disney 'Marvel' Universe, We all know Spider-Man is 'gone' and maybe this Venom story line is in the future years. They don't explain too much about it. However, this is just a working theory, and could be completely wrong. Let me hear your theories in the comments below. 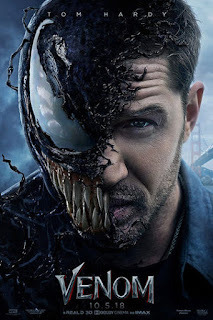 The best part of the film was when Eddy (Tom Hardy) finally synced with Venom. As a pair, they were funny and filled wit action. Sadly that is only about twenty minutes of this movie. I think we should all watch this movie, just order a bucket of popcorn the size of your head and enjoy the film! 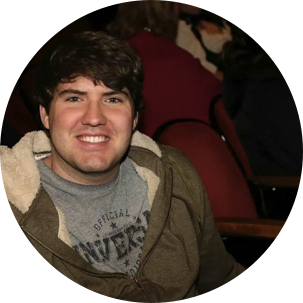 Make sure you stay through the credits for a mid-credits and a final-credits scene.